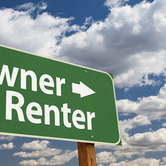 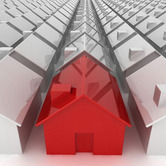 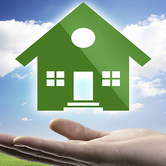 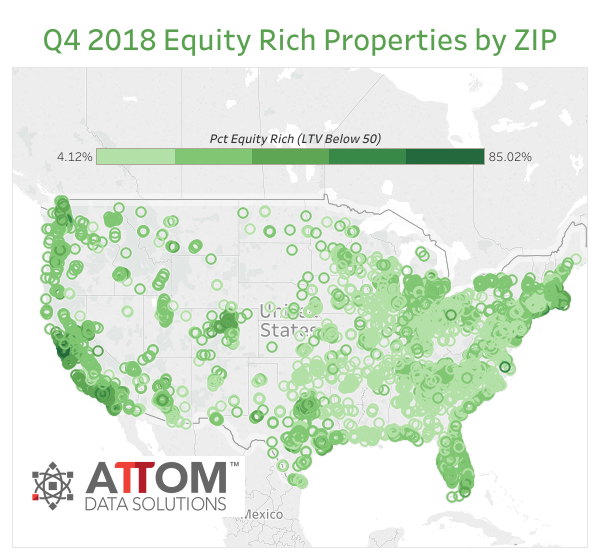 According to ATTOM Data Solution's Year-End 2018 U.S. Home Equity & Underwater Report, in the fourth quarter of 2018 over 14.5 million U.S. properties were equity rich -- where the combined estimated amount of loans secured by the property was 50 percent or less of the property's estimated market value -- up by more than 834,000 from a year ago to a new high as far back as data is available, Q4 2013. 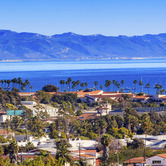 The report also shows more than 5 million U.S. properties were seriously underwater -- where the combined estimated balance of loans secured by the property was at least 25 percent higher than the property's estimated market value, representing 8.8 percent of all U.S. properties with a mortgage. 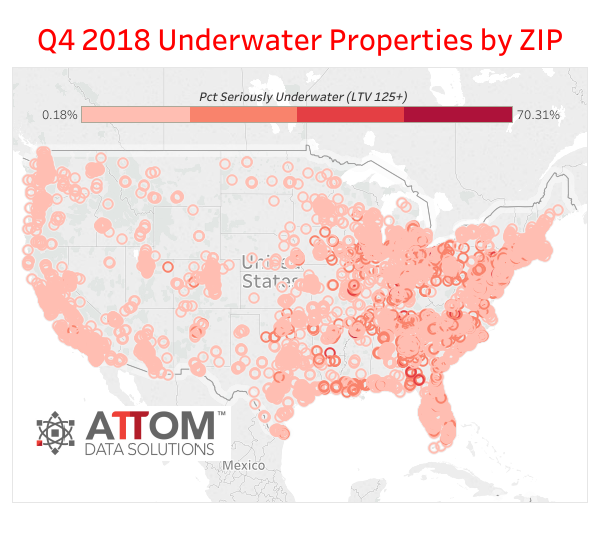 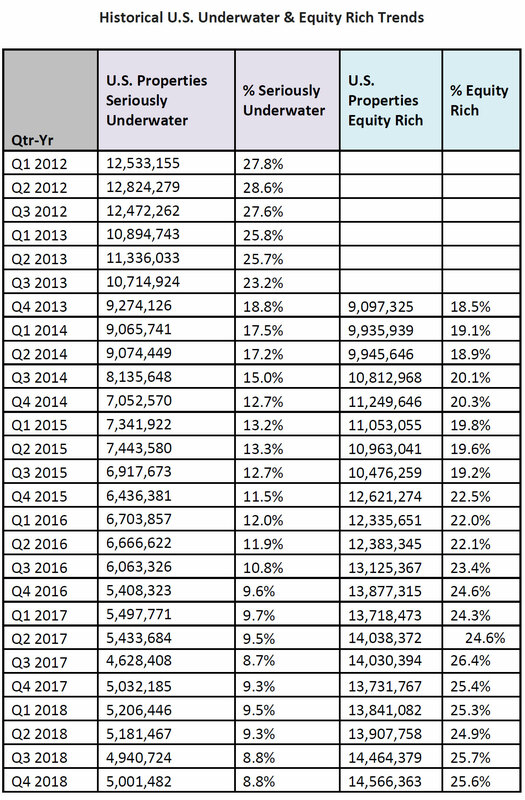 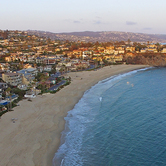 That 8.8 percent share of seriously underwater homes remained unchanged from the previous quarter and down from 9.3 percent in Q4 2017.